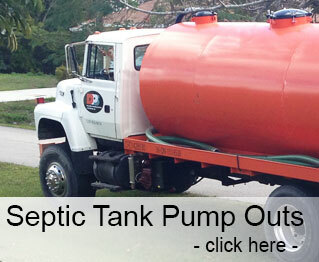 Are you on the hunt for commercial septic tank pumping? Although you may not give a lot of thought to the drainage system in your commercial property, septic systems should be maintained properly to extend their life and eliminate the risk of problems. An extra 25-30 years of life can be added onto your existing system if you prevent it from failing. A failed system could result in the groundwater source being polluted, not to mention the waterborne diseases that can be spread, such as hepatitis and dysentery. All of this can end up costing your business money and time. Repair and replacement costs could easily reach $10,000, so to avoid overspending, harming the environment and consuming contaminated drinking water, focus on the qualities of a great commercial septic service to ensure system failure is not on the cards. Punctuality – The sooner the certified septic company can service your property, the less chance you’ll have of overflows and equipment failure. Faster emergency service and regular maintenance is very important. Speedy Service – How fast can the commercial septic service manage an issue? Ask for an estimated timeframe before the work commences, so that you can avoid hiring slow companies. Full Disclosure – Can the company provide you with full disclosure relating to company ratings and reviews? Reputation matters, so pay attention to these qualities of a commercial septic service. The Price – Septic pumping and maintenance should not break the bank. Team up with a service that can provide you with a free quote over the phone, or that can conduct a free inspection prior to the regular septic service. Capacity and Accuracy – Each septic tank will have a certain storage capacity and minimum tank capacity. The size will depend on the household. Certified commercial septic companies will be familiar with varying tank sizes and their typical fees should be accurately based on tank capacity. Keep in mind that the more a company involves their customers, the more you can trust them to be honest. This is one of many desirable qualities of a great commercial septic service, as well as verification and their experience.